We've a tough start to the season and of our 4 games prior to the first international break i.e. Southampton (h) , Swansea (a) , Man United (a) , Arsenal (h) this is probably our easiest game. After a haphazard pre season we really need to hit the ground running and win this one otherwise we'll all be getting a bit nervous. That will be pretty difficult against Ronald Koeman's tough, well organised Southampton. Will the Eurpa league have done them a favour in getting them prepared or have worn them out playing on Thursday evening. We'll find out on Sunday. As for our starting 11, much will depend on how much McClaren wants to gamble on fitness. My guess is he will gamble, we need to get our best players out and hope for the best. Gouffran - is he still here ? What seems very certain is that we will be playing 4-2-3-1 as we seem to have been focusing on that in last few weeks. Well here is the strong Southampton team tonight also playing 4-2-3-1, it's going to be pretty congested in that midfield. A classy, efficient performance from them tonight. I guess they realise their best chance of geting into the Champions League is probably by winning the Europa League. The big question is how much has this match taken out of them given they play us in 2.5 days time after travelling back from Arnhem to Southampton then up to Newcastle. 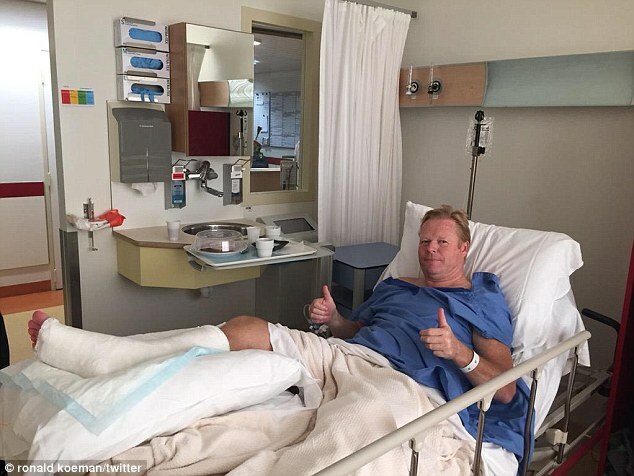 Another thing going our way, manager Koeman in hospital after surgery on his ruptured achilles after a training ground incident preparing for Europa league match. Whilst his brother Erwin will be in charge and in touch with Ronald during the game, personally I think this will be a big blow to the team. Just to note that the match is live commentary on radio 5 live today at 1:30 for those that can't make the match. United are expected to line up in a 4-2-3-1 formation, with goalkeeper Tim Krul behind a back four of Daryl Janmaat, Mbemba, captain Fabricio Coloccini and Massadio Haidara. Vurnon Anita and Jack Colback will anchor the hosts' midfield, with a trio of Moussa Sissoko, Wijnaldum and Gabriel Obertan ahead of them. And they will be tasked with supplying the ammunition for Senegalese hot shot Cisse, who finished last season as Newcastle's top scorer with 11 goals. Joining Mitrovic on a strong, attack-minded substitutes' bench, there are places for Ayoze Perez, Rolando Aarons, Siem de Jong, Cheick Tiote, Steven Taylor and goalkeeper Karl Darlow. Anita stretchered off so hopefully not too serious. Other substitutions was Mitrovic on for Cisse after 75 minutes then De Jong on for Wijnaldum with 9 minutes remaining. Mitrovic managed a booking on his debut then. Well I was happy with a draw given we have 3 pretty tough matches coming up it was important to get at least a point from this. We might lose the next 3. Anita getting stretchered off was a pity, hopefully he's not too seriously injured. Mitrovic we also nearly lost as well as he got booked within 12 seconds of his debut and he elbowed someone later on apparently which the referee missed. I was happy to escape with a draw given the story of the match. Whilst we dominated for probably 70 minutes I felt we started to run out of gas and the changes we made didn't freshen up the team whilst maintaining the same flow we had earlier in the match. At the point where Anita went off we looked sapped of energy and the game started to swing away from us. Not knowing what to expect going into the game I think we can take positives as well as identify things we need to work on going forward. The formation for me was much as I thought it might be but certainly not how I would have played. Surprisingly Wijnaldum, Sissoko and Obertan allowed us to play with two defensive midfielders with McClaren identifying that pace in the midfield would be important. The inclusion of Obertan was a bit of a wildcard and not a wildly popular choice prior to kickoff but I think he had a good game out wide on the left despite the fact that his cross for the goal came from the right wing. 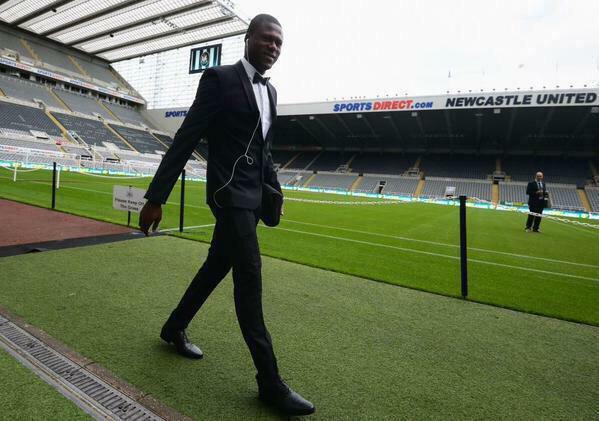 I was intrigued by the fact Cisse was chosen over Mitrovic upfront in a decision that is difficult to explain. For me Cisse was awful and he looked off the pace for majority of the match. He is credited with the opening goal but being honest it was a one yard tap-in and about all he contributed all game. The introduction of Mitrovic was a strange one with him smashing wildly through an opponent within seconds of getting on the pitch. Whether he felt he needed to announce himself or was just over eager to get involved it's difficult to say. He did look a handful though and showed signs of doing a lot of things we haven't seen since Andy Carroll last pulled on a black and white shirt. Winning headers, wrestling with big defenders and holding the ball up. There is definitely a crash and bash element to his game that the crowd warmed up to but he will have to show his goalscoring as well. In the middle of the park I thought Wijnaldum was a touch of class that has been missing since we sold Cabaye. He's not the biggest presence but he showed he has a turn of pace and a big engine to get him around the park. His finish for the second goal was a thing of beauty. Up against the physically strong Wanyama he got up early to meet Obertan's cross with his header making it look very easy. He's going to be a key player this season with his energy in midfield. On the downside we were shockingly poor at defending crosses into the box. Pelle's opener was the first real Southampton chance. We didn't shut the cross down before it came in and the big man made us pay with a good header that look a bit too unopposed for my liking. Similarly Shane Long for their second goal shouldn't be ghosting into the box to score headers. There was just that feeling again today that every time we conceded a corner or a cross came in that we were scrambling to clear more than getting a reassuring looking head on the ball. Fitness looks to be a key issue. Coloccini was struggling towards the end, Tiote looked massively out of shape and Obertan had clearly run out of gas with ten minutes to go. We lost all threat and defensively we started to look like we'd leak a third goal. Hoying the ball up to Mitrovic was all fine and well but the guy had nobody to aim the ball at with De Jong not looking sharp when he was brought onto the field. Fitness takes time and with injuries healing during pre-season we look like we are a bit behind. One player who probably won't get the credit he deserves in the papers tomorrow is Moussa Sissoko. I thought his performance today looked like something from two years back. It wasn't the Sissoko of last year who looked disinterested and contributed once every half dozen games or so. He looked strong and powerful on the ball whilst he made important interceptions off it. I still wonder if he's better deployed in a midfield three as opposed to out wide on the right. I just feel with his big frame he could really put himself about in there and give us a lot of steel in the centre of the park. With Anita now injured I'd like to think it may be a good idea to try Sissoko in there against Swansea. Obertan can shift over to the right and we can deploy Aarons or Perez on the left. One game won't tell us all the answers but there was definitely a more positive look to the team today than there has been for over a year. We had players looking to get on the ball and we kept possession well. With a bit pace we were able to craft more chances than we have done in a long time. The outlook after the first game is positive, even if the result wasn't a win. With difficult matches in the next few weeks we need to look to find our feet quickly ahead of what I think will be must win games right at the back of those. Can anyone shed light on those? Or was it a case of commentary getting caught up in the moment?